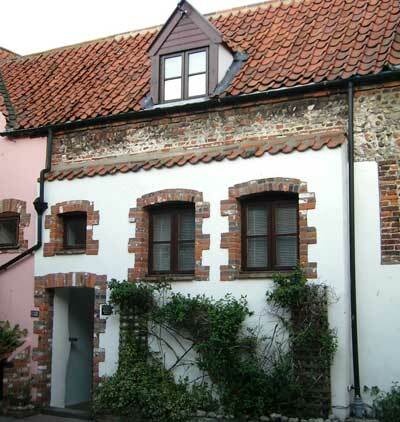 Fishermans Cottage in Red Lion Yard is only about 30 yards from the Quay, but away from the hustle and bustle. There is parking for up to two cars. Then about five steps up to the front door. The building is over 300 years old, but now offers modern comfort and amenities amongst a wealth of timber beams. Large front bedroom with 6ft bed, and en-suite with bath wc and wash basin. Large rear bedroom with double bed and single bed (for plus 1), en-suite with bath and over-bath shower, wc and wash basin. Entrance hall, leading to Kitchen/dining room; with cooker, dishwasher, microwave, fridge freezer, Living room, freesat HD TV, DVD player music centre. Washing machine, tumble dryer, steam generator iron.